Piaffer et Passage, first published in 1931 in French, was written to address the perceived weaknesses in international-level French riders and horses. Decarpentry gives unique insights from his personal experience, training his horse Professeur in these difficult movements. Xenophon Press has revisited the original French to help clarify vagueness that may have permeated previous English translations. Many unique French terms used by Decarpentry, like rassembler, have been restored and completely defined in English. Originally published in 1947, The Spanish Riding School in Vienna: Home of the Art of Riding in Jeopardy was written by General Decarpentry to pay homage to this unique institution. After World War II, the viability of the Spanish Riding School was in question. Published in both French and English to illustrate and document the great work and traditions of the Viennese School. This book is a time capsule containing the history of the great riders and traditions of the Spanish School, including masters from the beginning of the nineteenth century. We carefully reproduce the original 69 photographs and paintings. The pairing of these two rare texts reflects Xenophon Press’s mission of keeping classical equestrian literature accessible in English. General Decarpentry (1878-1956): Commander of the Cavalry School at St. Cyr, Écuyer and second-in-command of the Cadre Noir in Saumur. Albert Decarpentry, Grandson of Eugène Caron, a student of Baucher, is considered the most knowledgeable écuyer of his generation. 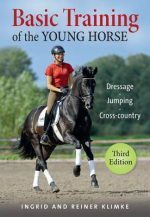 He contributed actively to the influence of French equitation in his many books, and by writing the rules and definitions the F. E. I. still uses today. His best known work is Academic Equitation.